Positioned at the heart of the Eurasian continent, the key geographical feature of Central Asia is that all of its rivers drain centrally into its interior rather than outwards into the external oceans, making it hydrologically almost self-contained. As such its numerous rivers all terminate in low-lying basins - some large, such as the Balkash, Sistan, and Tarim depressions, and some small. Huge permanent inland lakes accumulate in some of these, such as Lake Balkash. In others lakes appear during the flood season but then soak away to leave behind a vast marshland, as in the case of Sistan. In certain cases the rivers simply end in deltas that just fizzle out in the desert, like the Murgab delta close to Merv, the Zeravshan near Samarkand, or the Chou to the north of the lower Syr Darya. 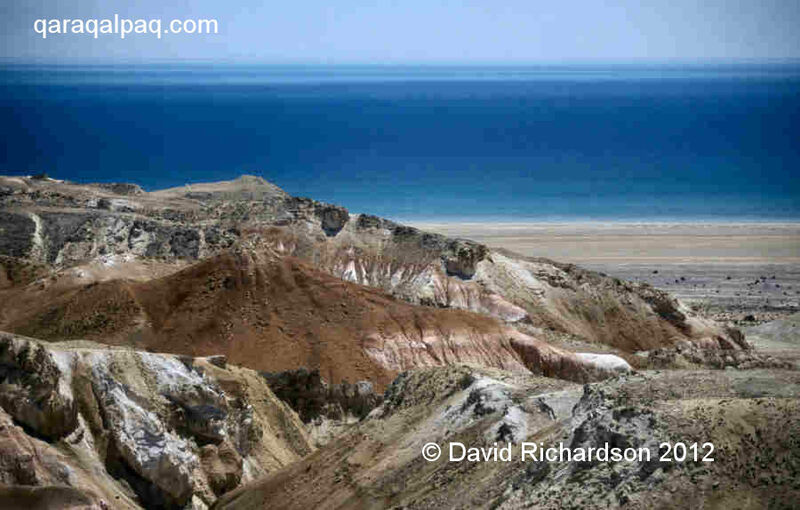 By contrast the Tarim Basin is occupied by one of the world's largest deserts, the Taklamakan. The most westerly basin in Central Asia also happens to be the largest in terms of its overall surface area – draining a region of just over one and a half million square kilometres. It stretches eastwards to the borders of China, India, and Pakistan and includes the whole of Tajikistan and Uzbekistan, most of Turkmenistan, and parts of Kazakhstan and Kyrgyzstan. 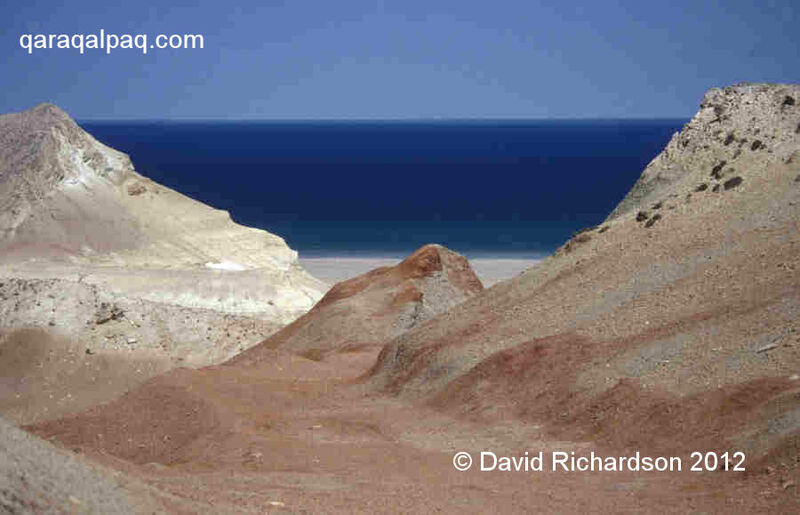 Topographically it divides between the mountain zone in the extreme east and the remaining desert plains, which slope imperceptibly towards the west. The Aral Sea, with the Khorezm oasis laying immediately to its south, occupies its western and lowest part. A satellite image of part of the lowland section of the Aral basin. Image courtesy of MODIS Rapid Response System at NASA's Goddard Space Flight Centre. 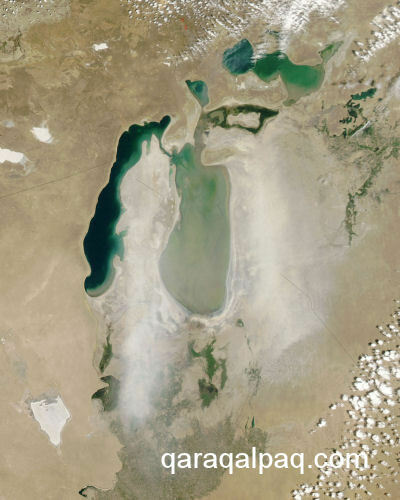 The Aral Sea is of course not a sea but a terminal lake with no outfall. Such lakes are said to be endorheic. 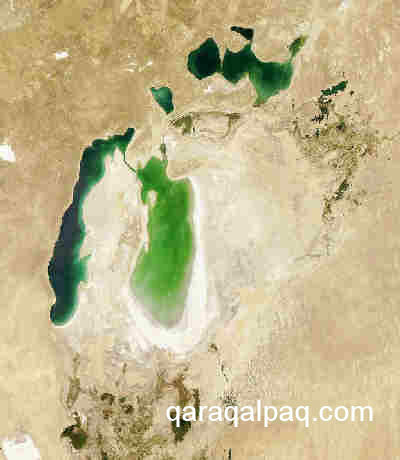 It is not only extremely shallow but, as a result of its central Eurasian desert location, is subject to intense evaporation during the hot summers. Its existence depends on a constant inflow of water from two rivers, the Amu Darya and the Syr Darya. Both rivers receive the majority of their water supply from the mountainous regions of the watershed. Some 43% of the Aral basin water supply arises in Tajikistan, 25% in Kyrgyzstan, and 18% in Afghanistan. 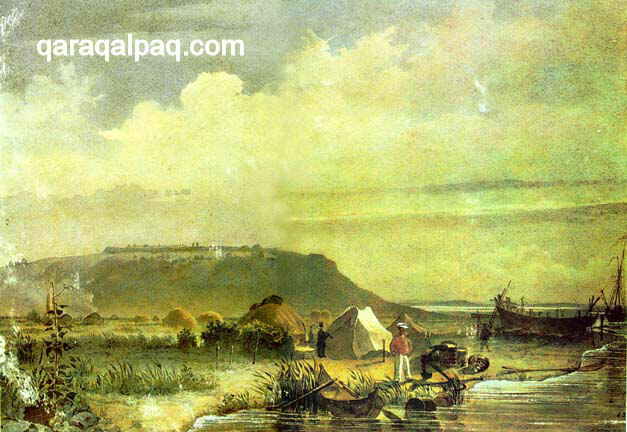 The biggest river is the Amu Darya, which was known by the Greeks as the Oxus, and by the Arabs as the Jaihun. The word Amu comes from the town of Amul, now Turkmenabad (previously Charjou), which has been an important river crossing point throughout history, while Darya comes from the Old Persian word drayah, meaning sea or enormous river. The Amu Darya is formed from the confluence of two mountain rivers, the Pyandzh, which originates high in the Pamir and Karakorum Mountains, close to the Chinese border and the Vakhsh, from the northern Pamir in Tajikistan. 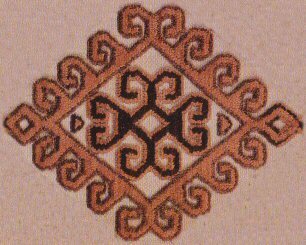 It is possible that the name Oxus derives from the local pronunciation of the word Vakhsh. For much of its upper course it forms the border separating Afghanistan from Tajikistan and Uzbekistan. The Amu Darya falls sharply as it leaves the highlands on its 2½ thousand kilometre journey to the Aral Sea. Its rapid flow gives it a power that far exceeds the resistance of its banks of compacted alluvial sand. As a consequence it has gained a reputation as "the mad river", continually changing its course over time. Today it is a broad, swirling, muddy, and rather featureless river with many islands and shallows, generally bereft of any river traffic. After watering the central Khorezm oasis it runs through the middle of a broad delta before it reaches the southern coast of the Aral Sea. The Amu Darya has two major flood seasons, the first in the late spring with the melting of the previous autumn's snow, and the second in mid-summer, fed by glacial melting. A second major river, the Syr Darya, known by the Greeks as the Jaxartes (Pearl River) and by the Arabs as the Sayhun or Sihun, is formed from the confluence of the Naryn and Qara-Darya rivers in the Tien Shan Mountains of Kyrgyzstan. It is smaller and more winding than the Amu Darya but, at just over 3 thousand kilometres, is slightly longer. It flows westward through Tajikistan and the Ferghana Valley of Uzbekistan, before turning north-west into Kazakhstan and passing close to the Baykonur Cosmodrome before emptying through another delta region, the Syrdar delta, to the north of the eastern shore of the Aral Sea. The Syr Darya has only one flood season, in the summer, fed by the melting snow. There are not enough glaciers in the Tien Shan to produce a noticeable second flood season. The region between the Amu Darya and the Syr Darya has been known as Transoxiana, a rather imprecise term, throughout historical time. 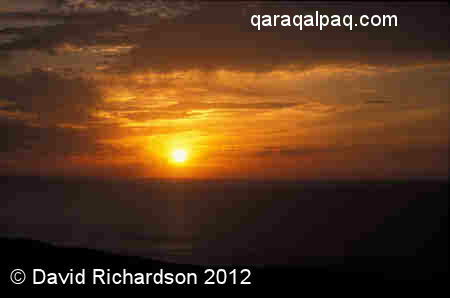 The Arabs called the region north of the Amu Darya, Mawaran-nahr, meaning literally "the land beyond the river". A map of the Aral basin showing the component Amu Darya and Syr darya drainage basins. Image courtesy of Royal Haskoning, Holland. The volume of water flowing down these rivers can vary enormously from year to year depending on climatic and other conditions, especially in the mountains. The Amu Darya can carry more than twice as much water in a year of high flood compared to a year of drought, which can have enormous consequences for the lowest downstream territories: the Khorezm viloyati and Qaraqalpaqstan. For example in 2000 and 2001 both of these regions suffered serious droughts. It was estimated that the level of the Amu Darya in its lower reaches fell to only 40-45% of its level in a normal year. The variability for the Syr Darya is even higher, by a factor of three or almost four. 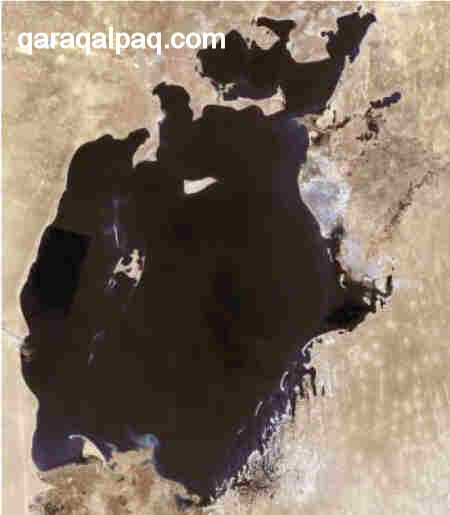 In general the annual flow along the Amu Darya is 2½ to 3 times greater than that along the Syr Darya. News of the existence of the Aral Sea only reached Europe in the 17th century and caused amazement, although by then the Arabs and the Chinese had known about it for a millennium. Previous Western travellers had somehow overlooked it, and it was a surprise to discover such a huge unknown body of water so close to the edge of Europe. 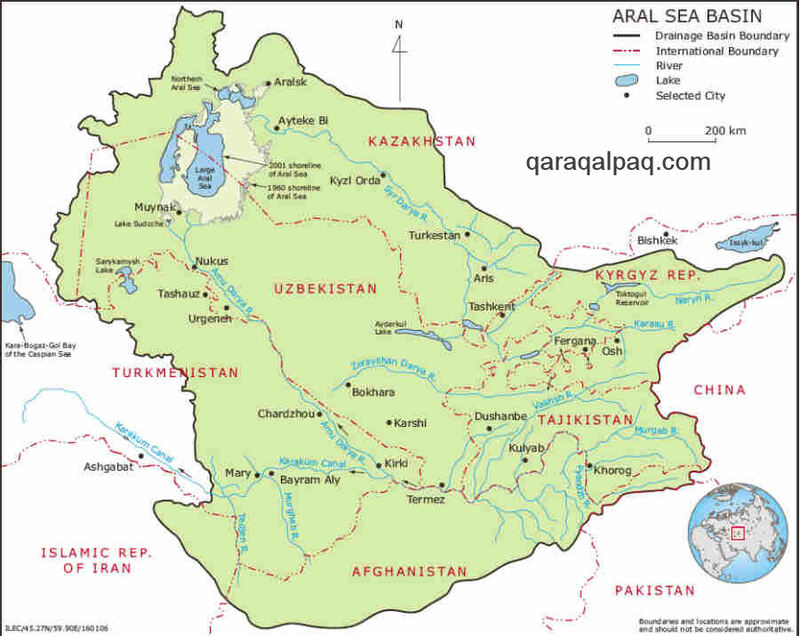 The Aral Sea is known by the local Qaraqalpaqs and Uzbeks as the Aral Ten'iz. On the early Russian charts dating from 1632 to 1674 it was called the Sine More, or Blue Sea. In even earlier times it has been given a variety of names, always related to the name of a local region or settlement or to the name of one of its tributary rivers. 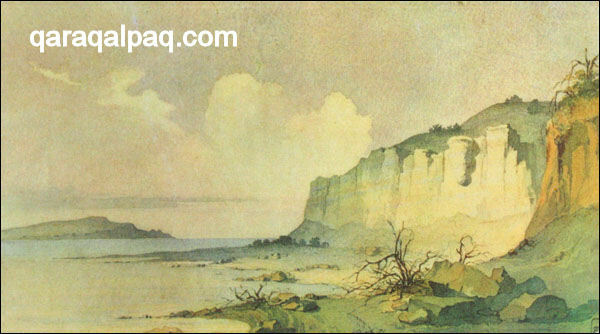 Thus in the 10th century ibn Haukal, al-Muqaddasi, and al-Istakhri referred to it as the sea or lake Khorezm (Buhayrat Khwarazm). Ibn Khordabeg referred to it as the Kerder Lake after the nomadic Kerder settlements in the northern delta. In the 12th and 13th centuries the Aral Sea was variously termed the Sea of Gurganj after the town of the same name (Konya Urgench) and the Sea of Jand after the city of Jand in the lower Syr Darya. 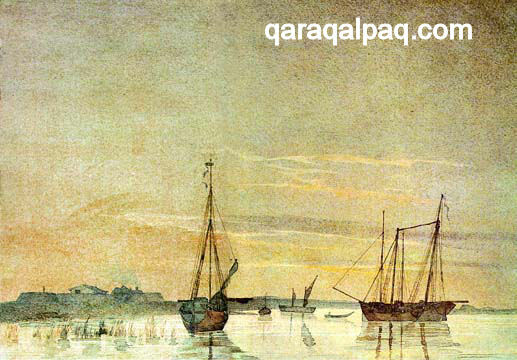 During the 17th century Abu'l Ghazi Khan called it the Sea of Syr. Because the name "Aral" means "island" in Turkic, the name of the Aral Sea has frequently been interpreted to mean "Island Sea" or "Sea of Islands", the latter being rather unsatisfactorily interpreted as a reference to the many islands that once existed in and around the coast of the Aral Sea. It is much more likely that the name dates from the 17th century. Abu'l Ghazi Khan, who died in 1664, wrote that he was proclaimed Khan in the country called Aral, "which is on the course of the Amu that falls into the sea". The term Aral appears a little later in the form of "Aral More" on a Russian chart dated 1697. The name "Aral" does indeed derive from the Turkic word for "Island", although it does not refer to any of the former Aral Sea islands. The name Aral was originally given to the island of land around the present region of Qon'ırat in the north-western part of the Amu Darya delta by nomadic Mangit and Qongrat Uzbeks, who migrated into that region in the 1620s. At the time of their arrival this region was surrounded by rivers, lakes, and marshes. In accordance with historical practise, the name of the Aral region was subsequently adopted as the name for the adjacent sea. The Aral Sea is spectacularily beautiful and remote. It is unusually devoid of any habitation, port, vessels, or commerce. Morning sunrise over the Aral Sea, May 2001. An atmospheric painting of the Aral Sea by the Ukrainian painter and poet Taras Schevchenko. Painted in 1848 or 1849 during Lieutenant Aleksey Butakov's "Survey of the Sea of Aral". 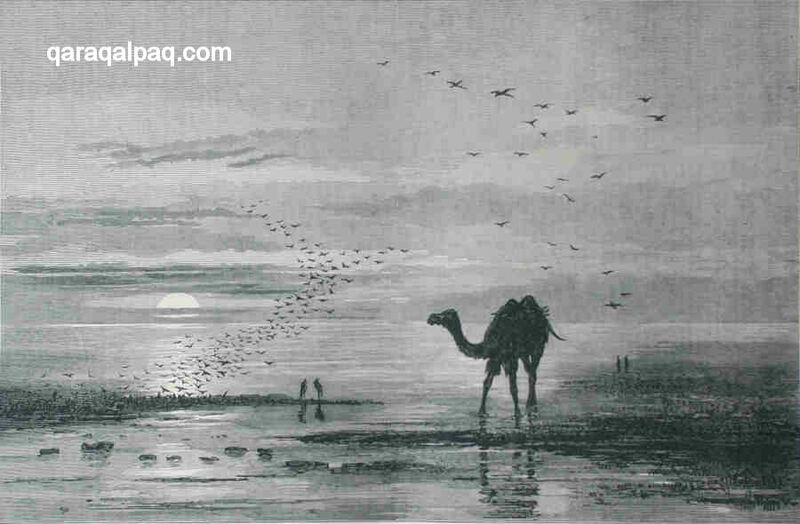 An etching of the Aral Sea. Published in the Illustrated London News, 23 June 1877. 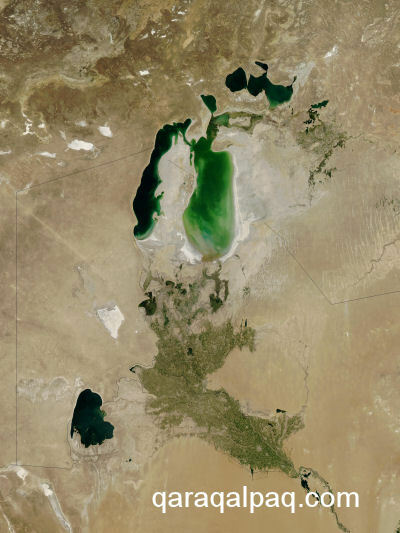 The Aral Sea - "almost sublime in its peculiar aspect of lonely sequestration." The latest phase of contraction of the Aral Sea began in about 1960 and coincided with the advent of satellite photography. As such we have been able to monitor its steadily changing shoreline from orbit. A composite satellite image of the Aral Sea in 1973. A composite satellite image of the Aral Sea. Compiled from images gathered between July and October 1989. 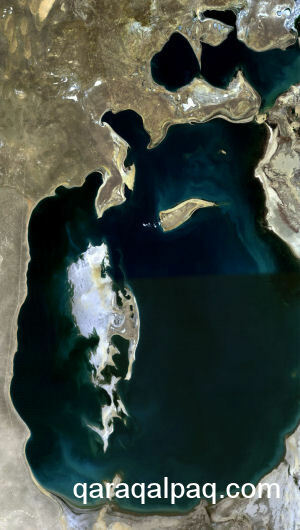 Satellite Image of the Aral Sea on 20 May 2001. 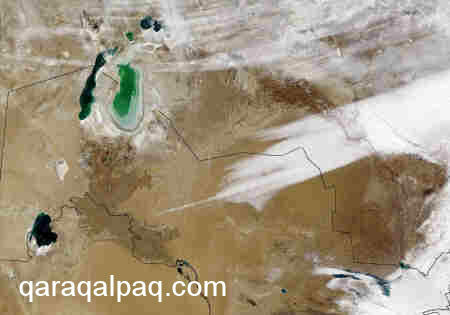 Satellite Image of the Aral Sea on 5 September 2003. Satellite Image of a huge dust storm enveloping the Aral Sea in June 2006. 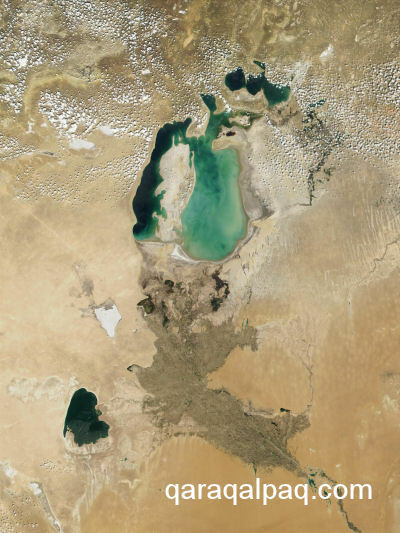 Satellite Image of the Aral Sea on 29 August 2006. These sketches were painted by the Ukrainian poet and painter Taras Schevchenko after he was arrested in Saint Petersburg for his satirical poetry. This had been taken as a personal insult by none other than Tsar Nicholas himself. He was condemned to military service for life without promotion and expressly prohibited from any further writing or drawing - a terrible indictment for such a brilliant artist. He was subsequently sent on a forced march from Saint Petersburg to Orenburg where, by good fortune, General Perovsky assigned him to the Academician Karl Ernst von Baer, a Baltic-German naturalist. Von Baer was a rising star in the Academy of Sciences in Saint Petersburg and was becoming increasingly influential in the exploration of the new Russian territories, specializing in lakes and fisheries. As such he had been selected to undertake the first scientific expedition of the Aral Sea on the newly built ship "Konstantin", under the command of Lieutenant Butakov. 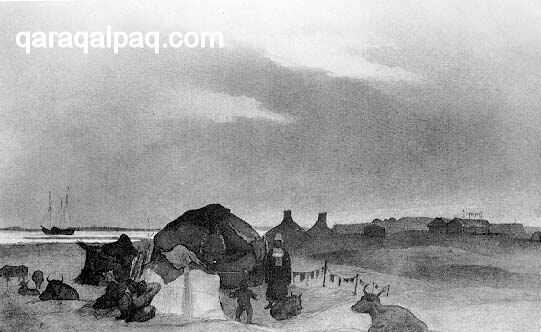 Although officially no more than a common sailor, Shevchenko was tasked with sketching the various landscapes around the coast of the Aral Sea, including the local Qazaq nomads, and was effectively treated as an equal by the other members of the expedition. After a voyage of over eighteen months he returned with his album of drawings to General Perovsky at Orenburg, who was impressed with his work and sent a positive report to Saint Petersburg hoping to obtain some amelioration in Shevchenko’s punishment. The response was quick and severe. Perovsky received a sharp reprimand and Shevchenko’s punishment was increased to imprisonment. He was sent to one of the worst penal settlements, the remote fortress of Novopetrovsk in the mouth of the Syr Darya, where he spent six terrible years of mental and physical torment. 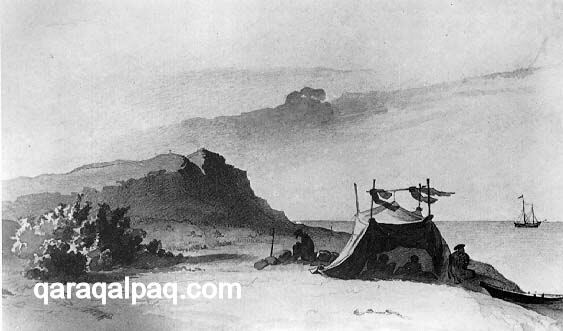 Expedition encampment on Barsakelmes Island in the northern part of the Aral Sea, 1848. 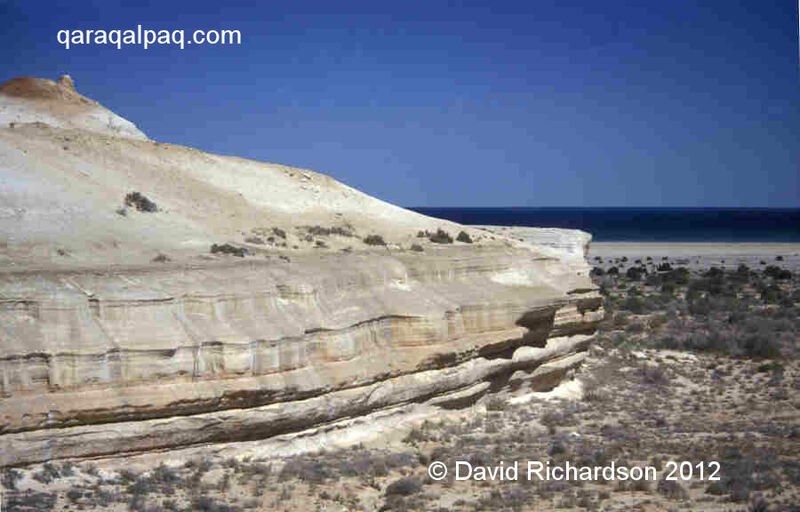 The cliffs or tchink of the Ustyurt Plateau on the western shoreline of the Aral Sea. Ships moored by the shore of Koz Aral Island. Qazaq nomad encampment on the shore of the Aral Sea. The Russians embarked on their first scientific survey of the Aral Sea in 1848, having just established their very first fort on the Syr Darya. Conducted by the academician von Baer, this soon resulted in the publication of the first accurate map of the Aral region. The map was copied by Augustus Petermann in London for the Journal of the Royal Geographic Society in 1853, and was then reproduced commercially. At exactly the same time the scientific world was just digesting the new theory of continental glaciation proposed by a Swiss naturalist, Louis Agassiz, which suggested that the world had once been in the grip of an Ice Age. Agassiz had moved to Harvard in the USA where his theory had impressed a young American geologist, Raphael Pumpelly. Pumpelly was initially drawn to Central Asia as a geologist, although in his later life he increasingly turned his attention to the region's archaeology. Pumpelly had been puzzled by the large number of lakes occupying the vast wilderness stretching from the north of the Aral Sea into the Siberian steppes, which were clearly depicted on an early 19th century map of Central Asia published by Julius Klaproth. He passed the winter of 1864 in Irkutsk, where Russian army officers told him that these lakes still existed although they were continually shrinking. Pumpelly imagined that if one went back in time, the lakes would become bigger and bigger. Eventually they would all coalesce to form a vast inland sea covering the centre of Asia. If climate changes and glaciation could produce continental accumulations of ice, perhaps they could also cause the Aral and Caspian Seas to expand and coalesce. Maybe the subsequent shrinkage of that great inland sea even influenced the history of Eurasia, initiating the migration of the Aryan peoples into Europe? 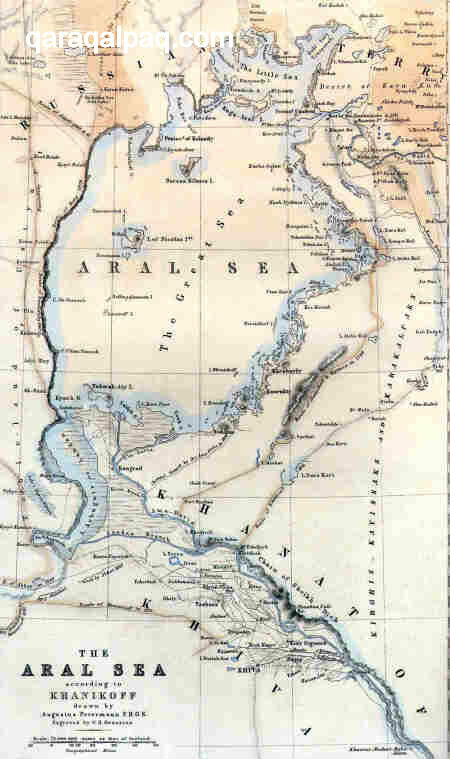 When Major Herbert Wood surveyed the rivers and shores of the Aral Sea for the Imperial Russian government in 1874 it was generally believed that the Aral Sea was shrinking. Wood, who was well aware of the many salt lakes dotting the steppes, also believed that in the past the Aral Sea had expanded northwards and may have also flooded westwards to reach the Caspian Sea, breaching a gap between the north of the Ustyurt and the south of the Mugodjar ridge, an extension of the southern Urals. He also raised the possibility that at an even earlier time the Aral, Caspian, and Black Seas may have been connected, realizing that this would explain the similarities seen in their maritime fauna. 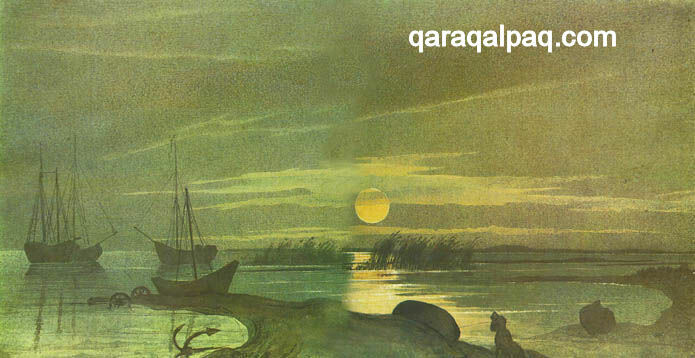 Over the following decade the Russians systematically surveyed the Qara Qum and charted fossilized riverbeds totalling over 1,000 km in length. Russian academics responded to these findings with theories ranging from the progressive drying up of the whole of Asia to the earth’s rotation only favouring easterly flowing rivers! Discoveries of fossilized shells in rock strata by the Russian Geological Survey soon gave further scientific credence to the idea of an enlarged inland sea. The first serious long-term attempt to understand the Aral Sea in the round was undertaken by Professor Lev Berg, a fisheries expert from Moldova working at the Academy of Sciences in Saint Petersburg. Berg studied the Aral from 1899 to 1902 (and again in 1906), publishing his monograph "The Aral Sea" in 1908. He continued his pioneering work at Lake Balkash, Lake Issyk-Kul, and the Caspian Sea, effectively establishing the new science of limnology, the study of freshwater lakes. Soviet research finally got going in a big way during the 1970s and 1980s when Russian geologists had exclusive access to the Aral region. An Uzbek team under I. V. Rubanov performed the most comprehensive survey of all, drilling and analysing sedimentary cores from across the whole bed of the Aral Sea. Rubanov published "The Geology of the Aral Sea" in Tashkent in 1987. The Khorezm Archaeological and Ethnographical Expedition, directed by the Moscow academic Sergey Tolstov, complemented this work by focusing on the more recent history of the Amu Darya and its deltas over just the past few millennia, as a foundation for understanding the region's human history and pre-history. The geomorphologist A. S. Kes was closely associated with some of this latter work. Since 1960 further investigation has been motivated by the growing environmental catastrophe of the shrinking Aral Sea. More recently still the lure of oil and gas – on both sides of the Caspian and now in the Aral Basin – is encouraging a major investment in new geological research, although this is obviously focused on petroleum geology. Oil and gas reserves of up to two billion tonnes could lay below the Aral Sea, therefore much of this work is commercially confidential. As a result of all of this cumulative effort there is a large and growing body of information on the Aral region. The majority of it is in Russian, although the more recent environmental and energy-related aspects have attracted increasing foreign (non-Russian) participation. The problem is that most of the findings are piecemeal, some of them are vague, some of them are contradictory, and there are many gaps. Most worrying of all is that much of the dating is suspect. In the short term the most promising results might come from a programme of work currently being coordinated by the Potsdam Institute in Germany, involving both European and Central Asian academics. This is focused on reconstructing how the Aral shoreline has changed over the past 15,000 years and hopes to show how climate changes have influenced human settlement in the region over that period. The beautifully stark landscape of the Aral Sea. Photographed from the edge of the tchink in June 2001. The suphurous landcape glitters because of a covering of small quartz crystals. Surprising evidence of former volcanic activity. From the clifftop at Cape Aktumsyk you can see the flat expanse of the former island of Vozrozhdeniye on the horizon. The cliffs of the tchink have been sculptured by wind-blown sand. 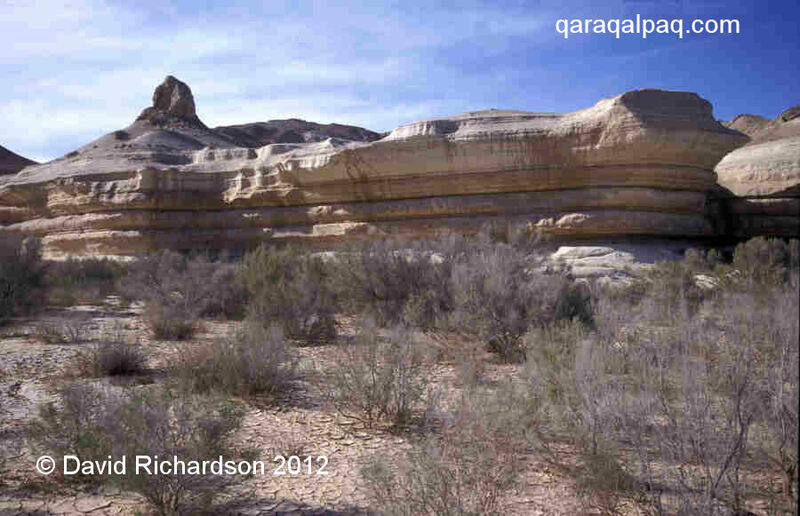 Wind erosion probably played an important role in the creation of the Aral depression some 3 or 4 million years ago.